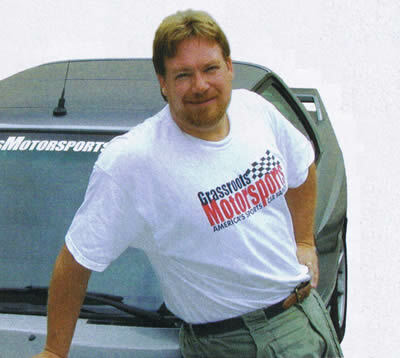 Tim Suddard of Grassroots Motorsports Magazine and some Quick Questions from the Road Racers Podcast. We have been a big fan of the efforts that Tim and his team have done over the years to elevate all levels of Motorsports, be it Autocrossing, Road Racing or other great Auto Racing opportunities out of the shadows of the past. We always enjoy running into Tim at track events and recently had the opportunity to sit down to talk with him as not only the publisher of Grassroots Motorsports Magazine, but as the passionate racer that he is.